After playing in various bands of various genres, going solo is a concept both rewarding and terrifying. Is it worth it? Will anyone pay attention? Will this completely backfire? Is the music good enough? 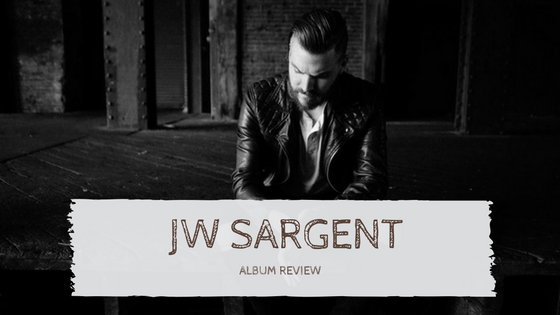 Those answers are in response to JW Sargent’s debut solo EP, “In Retrograde”. Sargent has been playing music for what seems like his entire life, starting by picking up a guitar at age seven. He’s the only one in the family that plays instruments, but it’s his father that loved music and became his biggest supporter as he chose to pursue it. He played in bands starting in middle school and transitioning into high school and college. Post-graduation, he found himself back in the area he grew up in and in a weird transition period. Moving back was a clean-slate period for JW and he wanted to use it to his advantage. “I treated it as a fresh start and when I moved back up here I took that as an opportunity… as a sign to see what I can do on my own. I was working in so many ways to be self-reliant in a lot of other areas of my life and I brought that to music,” he said. And evolve it did. “In Retrograde” combines the sound structure and instrumentation that you would find in a variety of different genre bands and combines them into just four songs. There are many apparent complex layers within each track that blend together in a sound that shouldn’t be defined. The lyrics are powerful and haunting which adds to that undefined sound. Its message brings that whole “light at the end of the tunnel” triteness without the excessive repetition. “In Retrograde” is available 11/18/16.